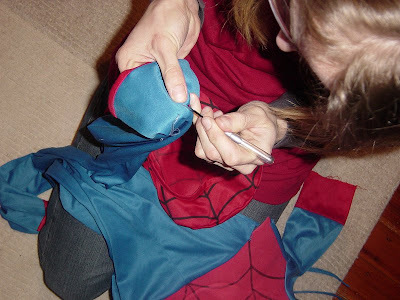 I am very priviledged to be involved in the superhero world... just like Edna on "The Incredibles", I too am a superhero's seamstress. 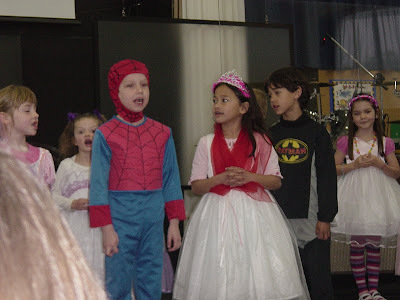 Master 7 had a very important appointment to make (his class was doing an item for assembly), and his Spiderman outfit had a few nasty tears... just as well Mummy knows how to stitch up holes! He did really well by the way... and looked amazing. Wow, what a little cutie he is! If I was 20 years younger...lol!